Even though we never made it to Sunday brunch at Méert in Lille, I've made up for it by trying a few desserts during our dining adventures in Belgium and northern France. 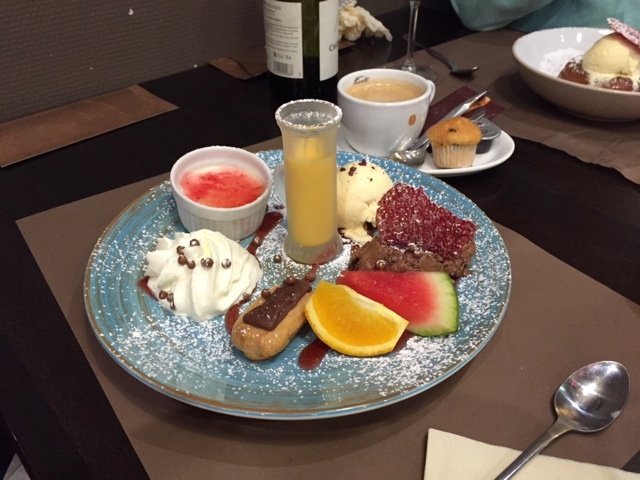 A very popular choice in this part of the world for ending one's meal is the café gourmand - a combo of coffee and a selection of petite treats. At Markt 38, a traditional restaurant in Poperinge Belgium, I went for it. It was an interesting melange of fresh fruit, petit eclair, Chantilly cream with crunchy chocolate beads, panna cotta, eggnog straight up, ice cream and, last but not least, chocolate mousse. You get the idea. 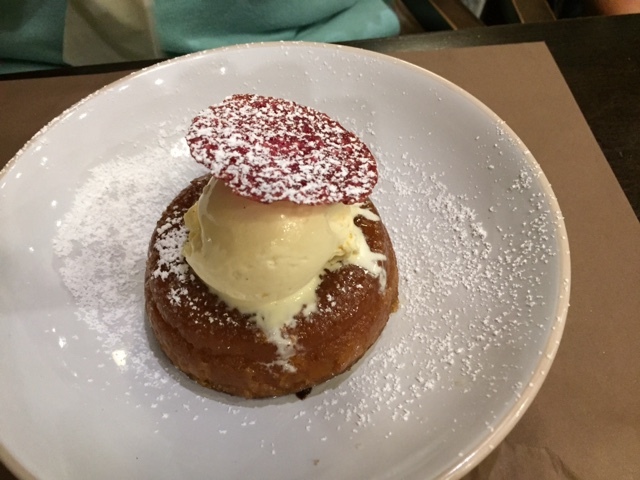 Our friend Richard had a local specialty that was reminiscent of a rhum baba, served with ice cream and topped with some type of crispy tuile. 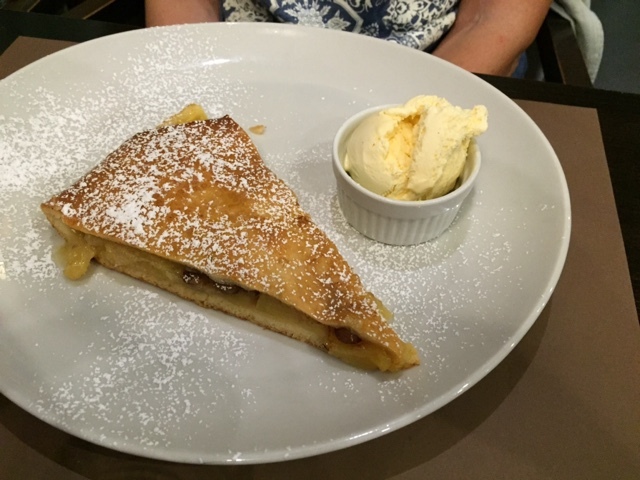 Richard's wife Pauline had the house version of apple pie which was more like a thick crepe filled with apples and raisins with vanilla ice cream on the side. We all enjoyed our treats as well as the chance to discover a taste of true local cuisine.